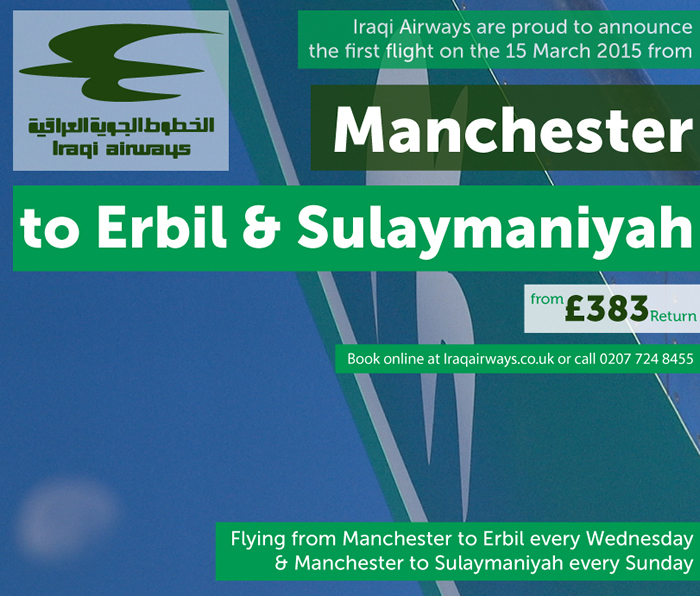 Iraqi Airways will fly from Manchester to Sulaymaniyah for the first time on the 15 March 2015. Have a look at our latest news coverage from AdsAdvance, Manchester Evening News and Travel Weekly. The flights will be starting from just £383 for a limited time only and they will operte flights to Erbil from Manchester every Wednesday and flights to Sulaymaniyah from Manchester every Sunday. Stay tuned for full coverage of the first flight.